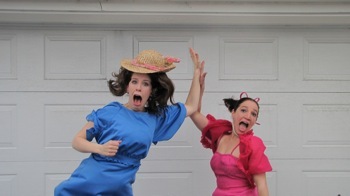 2012 Toronto Fringe is still chugging along, full speed ahead – and you should see a show this week! And what better way to go to a Fringe show than for free!? As you know from last year we like to spread the love during Fringe and invite our readers to participate in contests for a pair of FREE Fringe tickets to SIX shows every day of the festival. So enter a contest and Fringe for Free! Today’s contest features a pair of tickets to five shows on Wednesday, July 11th. 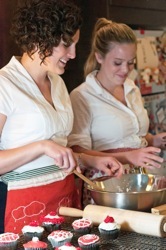 Smart Food – To be entered into the draw for a pair of tickets to the 12pm show at Annex Theatre (Venue 5) please send an email to contests@mooneyontheatre.com with the subject line “Smart Food contest” by 7pm on Tuesday, July 10, 2012. Everything I Never Knew I Wanted – To be entered into the draw for a pair of tickets to the 12pm show at Tarragon Extra (Venue 2) please send an email to contests@mooneyontheatre.com with the subject line “Everything I Never Knew I Wanted contest” by 7pm on Tuesday, July 10, 2012. The Virginity Lost & Found – To be entered into the draw for a pair of tickets to the 2:15pm show at Tarragon Extra (Venue 2) please send an email to contests@mooneyontheatre.com with the subject line “The Virginity Lost & Found contest” by 7pm on Tuesday, July 10, 2012. I Became My Mother – To be entered into the draw for a pair of tickets to the 7:45pm show at St. Vlad’s Theatre (Venue 7) please send an email to contests@mooneyontheatre.com with the subject line “I Became My Mother contest” by 7pm on Tuesday, July 10, 2012. Botched – To be entered into the draw for a pair of tickets to the 1opm show at Theatre Passe Muraille Backspace (Venue 11) please send an email to contests@mooneyontheatre.com with the subject line “Botched contest” by 7pm on Tuesday, July 10, 2012. Mum and the Big C – To be entered into the draw for a pair of tickets to the 11pm show at Randolph Theatre (Venue 4) please send an email to contests@mooneyontheatre.com with the subject line “Mum and the Big C contest” by 7pm on Tuesday, July 10, 2012. A bystander witnesses an explosion at a popular nightclub. A pundit has a nervous breakdown during a live show broadcast. An anarchist radicalizes. A child witnesses destruction. A victim suffers. Spiraling through the past, present, and future, [republic] of rhetoric depicts the dark descent into extremism as a response to commercialization and reactionary politics. Ladies-in-Waiting brings together several generations of women to explore aging, power, regrets, hindsight, and the pain of unrequited love. As Henry VIII lies dying, his six wives (divorced, beheaded, died, divorced, beheaded, survived) convene to throw his welcome to the afterlife party. History has cast these women in the roles of bff’s, frenemies, competitors at work and at love, judges, juries and social executioners but Kate Kudelka and Lise Maher give these queens fresh and dynamic voices, unhindered by the king who bound them all. Toronto, Ontario… Upstage Productions is thrilled to announce its production of The Dinner at the Toronto Fringe Festival, opening Wednesday, July 4 at 8:15 pm at Factory Theatre Mainspace, 125 Bathurst Street, Toronto (full schedule below). 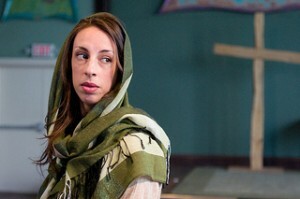 The Fringe runs July 4 to July 15, 2012. Lance and Grace host their annual Thanksgiving dinner party for old friends. New guests to this year’s occasion change the entire affair. Deep-rooted tensions among old friends, tensions unspoken for well over a decade, are unearthed. With eight friends feuding, or not allowing the next person to speak, this once tight-knit group lose their respective appetites for each other… and in some cases, for themselves.